One of the most crucial things about advertising in any format is the ability to reach the intended target audience. With advanced trackers and the help of the internet, this task has moved way beyond individual market surveys. One might say that the advertisers have it easy now, or can they? Ad blocking software and browser ad-ons have grown to become the bane of many websites and content creators whose revenue majorly relies on advertisements. Indian publications are no different, and in a bold move on Thursday, leading publications Times of India and Hindustan Times have made changes to their website that now require you to disable your ad-blocker to see any content. The approach of both the publications is slightly different. Both of them allow the reader to view the home page. If the reader clicks on an individual article, ToI redirects them to page with instructions on how to disable the adblocker. Hindustan Times, on the other hand, allows the reader to read a couple of paragraphs before a request to disable the adblocker replacing the remaining content. It is hard to tell if the ad-blocking software actually adversely affect the publications because essentially there is no public domain data available to judge the same. Irish startup PageFair reveals that according to data up to June 15 there are 4 million active ad block users in India, who apparently hit Indian publications for $75million in just one quarter last year. Further, PageFair studies revealed a more staggering number with respect to the number of mobile users who were using browsers with inbuilt ad-blocking abilities - a whopping 120 million. To put this number into context, India has 300-350 million mobile and desktop internet users. 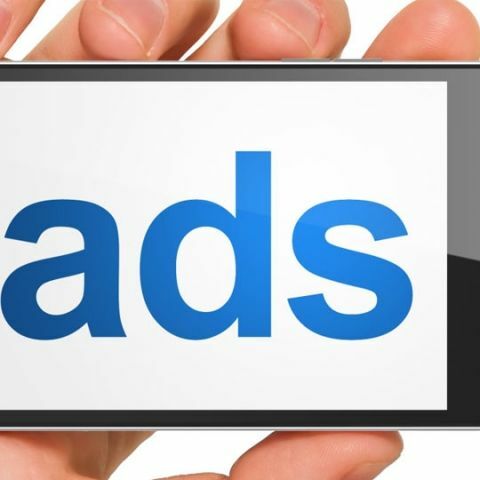 While it is true that ad-blockers are affecting website revenue, it is also true that online advertising has gone way beyond its initial limit of respecting user privacy. Instead of informing the user of a product, advertisements are often collecting user data and location information to serve targeted advertisements. Moreover, in a bandwidth sensitive country like ours, the data that many such heavy ads consume becomes a major problem for users. Advertisers often don’t check the ad content that often ends up bringing malicious viruses onto the user’s machine. Knowing both sides of the coin that this problem poses as it is not entirely clear what the end result should be. Although, it is common business understanding that keeping the customer’s viewpoint in mind and taking their concerns into account is the way to success for almost any venture. This entire war against ad-blocking might be an entirely wrong direction to put efforts in because it is probably quite easy for the programming community to develop a tool that works around the ban on ad-blockers. While this ban does put the question of online subscription and pay-to-view content for a while, this cannot be a sustainable model and the Indian publications need to find a neutral solution for this. Please remove the STUPID audi ad which turns up automatically in every page ! Which affordable phone has better camera?